"Dude-man-bro, are you going to Coachella this year?" If I got a dollar for every time I was asked that question, I might just have enough money to actually buy the dang ticket. Concerts have been, for a very long time now, a great way to spend a night or a weekend having fun with friends and listening to some great tunes. But like many large scale events that you have to buy tickets well in advance for, there's always the possibility that something will come up and you won't be able to make it. So, now you have to get rid of those tickets ASAP or eat the cost, which blows. There are a bunch of methods to do so, of course. You can use eBay, Craigslist, or stand on the street corner wearing an oversized trench coat and sunglasses asking for 200 bucks OBO. But, if you're like me, you probably want to do as little work as possible. So that means selling to people you already know and trust. And what better place to do that than Facebook? Concertin is a recent service that utilizes Facebook and its Graph Search to find friends or family that have similar interests and music to help you sell your tickets. The process is fairly simple. Once you log in with Facebook, Concertin will use your information (location, likes, interest) to help you discover music and tickets for sale. 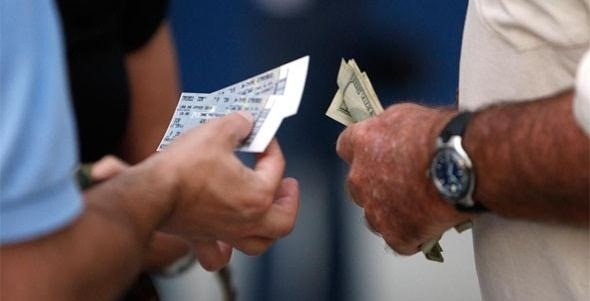 If you wish to sell a ticket, your profile will pop up along with the listing so people know who they are dealing with. "The basic version is free, with one restriction: only the seller's Facebook friends can see the ticket offer. Tickets listed within the paid version are promoted to all users, not just friends, for 9% commission from the total ticket sale, allowing the ConcertIn website to connect fans who want to sell tickets with a much broader buyer pool." It's a really simple idea that makes selling your tickers as hassle-free as can be. Concertin officially launched last month, and has already done some pretty good business. So if you can't make it to Coachella or any other sweet show, make sure to try out Concertin and sell your tickets for certain. Attn Concertin: For rights to that rhyme, please contact me directly.